17th century building commissioned by the archbishop Mateo Segade Bugueiro as Obra Pía or charity (school for teaching under priveledged children. The design of the work is attributed to Domingo de Andrade. 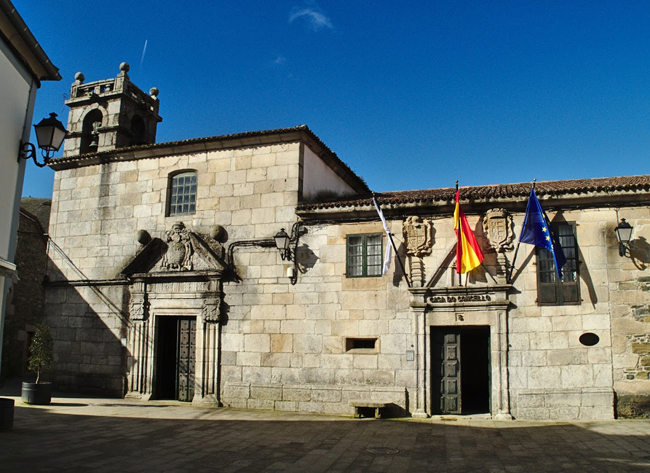 The Chapel of San Antón is preserved, open to cult and the front façade, where the town hall of Melide is currently installed.